You are here: Home / Blog / Events / Watch LIVE PRODUCTION for WMS 2017 ! Live action feeds are over – but contact us for your Personalized Demo ! 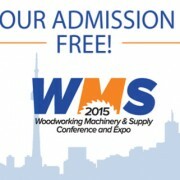 LIVE PRODUCTION for WMS – Booth #2137 ! Click on a link below to see the LIVE action from our Better Workshop. Contact us for a personalized Demonstration ! http://www.cncautomation.com/wp-content/uploads/2018/02/Logo284x104.jpg 0 0 admin http://www.cncautomation.com/wp-content/uploads/2018/02/Logo284x104.jpg admin2017-11-01 18:06:222017-11-06 16:34:41Watch LIVE PRODUCTION for WMS 2017 ! Our Grand opening… A huge success ! Happy Holiday from all of us at CNC Automation !